This is a classic recipe for those who don’t have a lot of ingredients on hand and pull the excuse “I don’t have time to cook”. 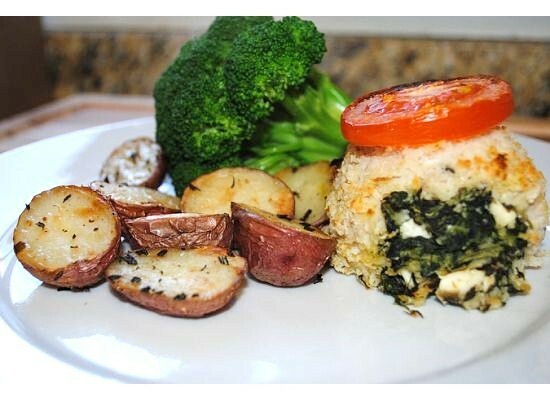 This recipe is super easy and great way for you to get your intake of protein, vegetables and carbs. 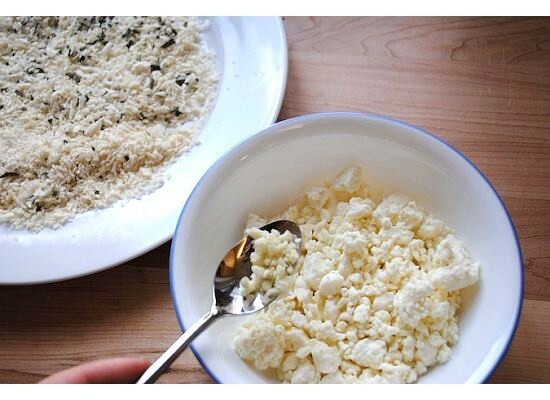 Place 1 cup of feta cheese in a bowl and set aside. 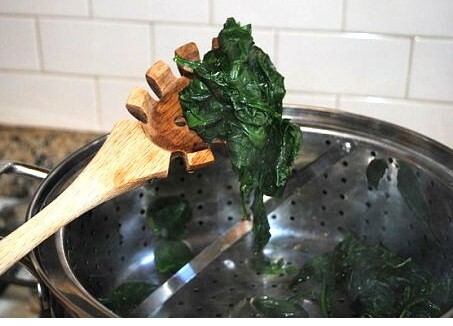 Using your handy steamer, place the spinach leaves in steamer and cook for 6-8 minutes. 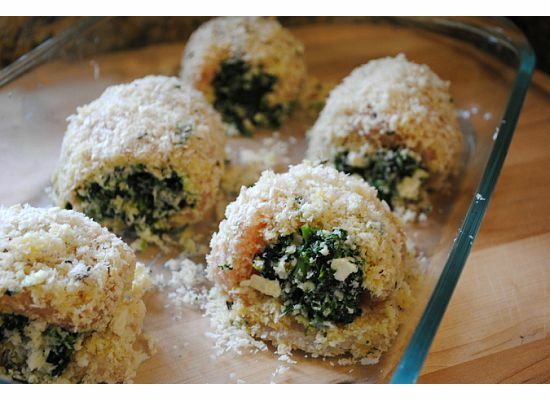 It may seem like you have way too much spinach, but trust me, it wilts down to a little amount. 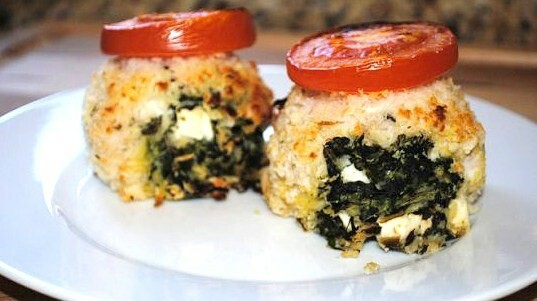 Add spinach to the bowl of feta and mix until all is incorporated. You should marinade the chicken for a half hour-2 hours, depending how much flavor you want. I marinaded mine in lemon juice, olive olive, sea salt and pepper. 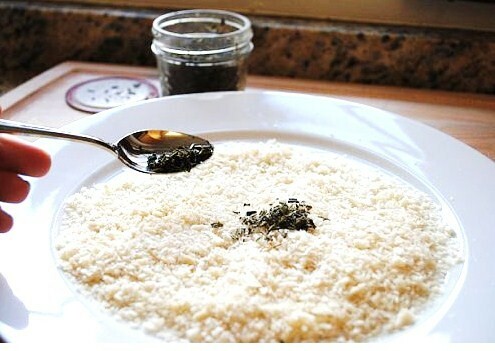 Once it is done marinating, take your first chicken breast and place in breadcrumbs. 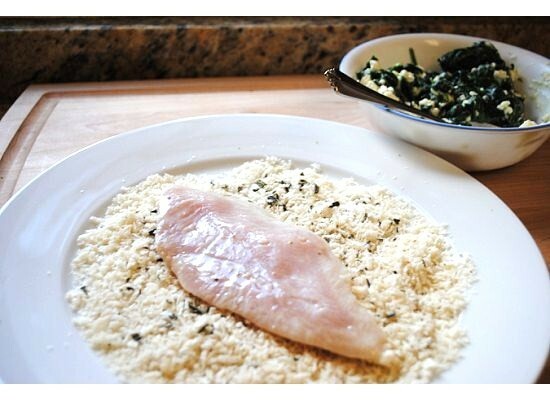 Make sure you cover both sides of the chicken with the breadcrumbs. Then roll the chicken up lengthwise so it looks like such. 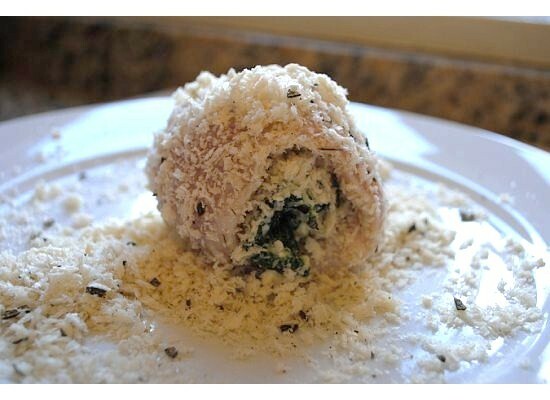 If you have extra cheese and spinach leftover, you can stuff it on the side openings of the chicken rolled up. Repeat the process for each piece of chicken and then place in casserole dish. Some people place toothpicks in the center of the chicken to hold together, but it really is not necessary because they hold together if you wrap the end of the chicken and place on the bottom. 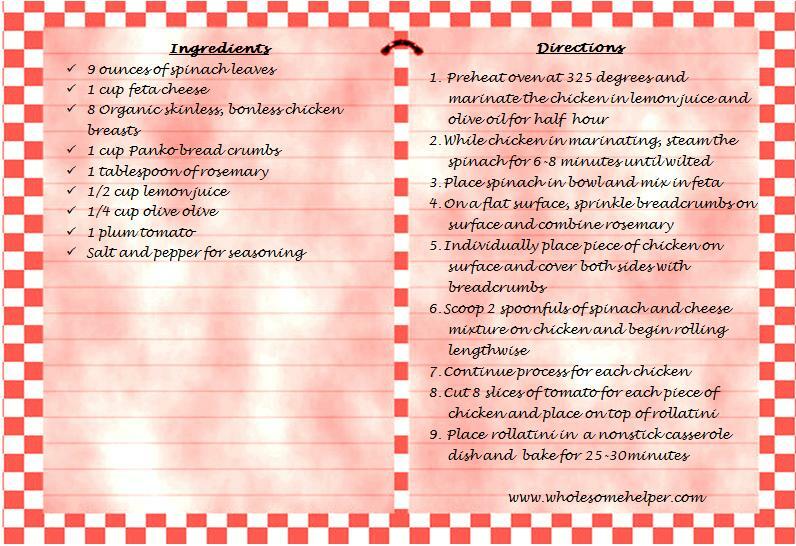 Bake for 25-30 minutes until chicken is fully cooked. Two rollatinis make a great dinner and the leftovers you can dress up for dinner tomorrow night. 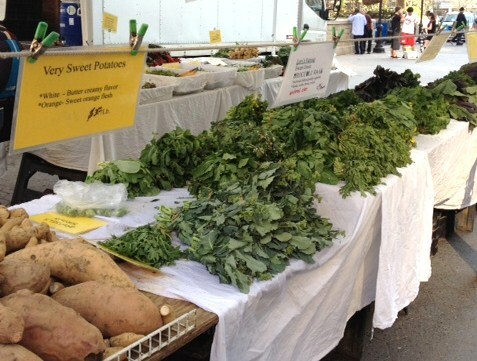 Just add some steamed broccoli and a side of roasted potatoes. 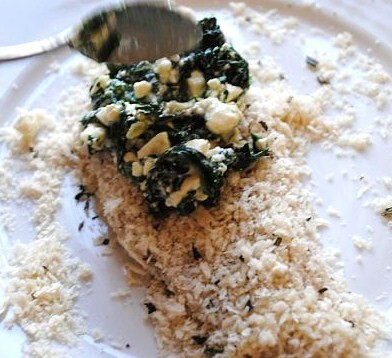 Just 2 more ingredients you’ll need to create another great dinner with leftovers! Enjoy! 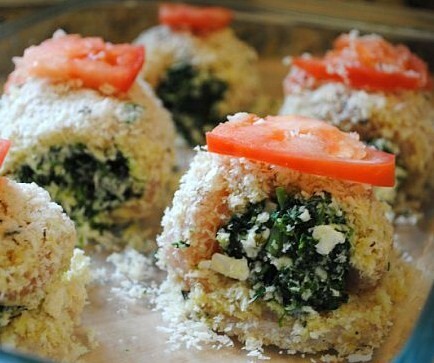 I will be making this for dinner tomorrow night — sounds easy & great!